On another beautiful day at the Racecourse – a stunning ground when the sun shines – the Yellows set off in search of the 280 runs required to gain the first innings win and necessary bonus points to overhaul Loughborough and join Cardiff in the MCCU Challenge Final at Lord’s. Steve Bullen and Henry Thompson began the reply in style, with their first century stand of the season and arguably the team’s best session of the campaign as they walked off at lunch with the score on 135 for 0, Bullen on 65 and Thompson on 59. The stew and mash must have caused a few digestive problems though, as the next hour saw 4 wickets fall for the addition of only 40 runs with all wickets going to the left-arm spin of JJ Dewes. Bullen was the first to go, driving at one that turned and edging to slip, without adding to his lunchtime score. Billy Root looked comfortable until he turned a ball into the hands of short leg after scoring 18, Christian Davis was adjudged LBW trying to sweep for only 1 and Logan Weston was caught for 3. Having fallen from 135-0 to 175-4 and with the Durham boys keen not to register their 5th 2-day defeat of the season, Lord’s was looking a long way off. It was left to two guys in their 3rd year at University to use their experience and steady the ship. Thompson had remained solid at the other end as he lost his partners and was now joined by Mr Consistent, Harry Rouse. Last year Thompson was dismissed in the Challenge Final 3 runs short of a Lord’s century. As he entered the 90s he must have had his eye on helping the team reach another Challenge Final by scoring his first ton in a Leeds Bradford shirt. That was until, when on 92, he turned a ball to backward square, set off for an easy single but then inexplicably decided to return for a suicidal second and despite a desperate dive the lanky Lancastrian was a foot short of his ground when the bails were removed. He trudged off with 93 to his name but, more importantly, with his team needing only another 71 for victory. Meanwhile Rouse was going steadily at the other end. The Bath-based all-rounder entered the game needing 42 runs to become only the 5th ever Leeds Bradford player to reach the career double of 500 runs and 50 wickets, despite having only scored one half-century. A second one looked very much on the cards though. George Scott helped him add 35 before the Middlesex man was caught behind for 20 with the total on 244 – and 36 still required. 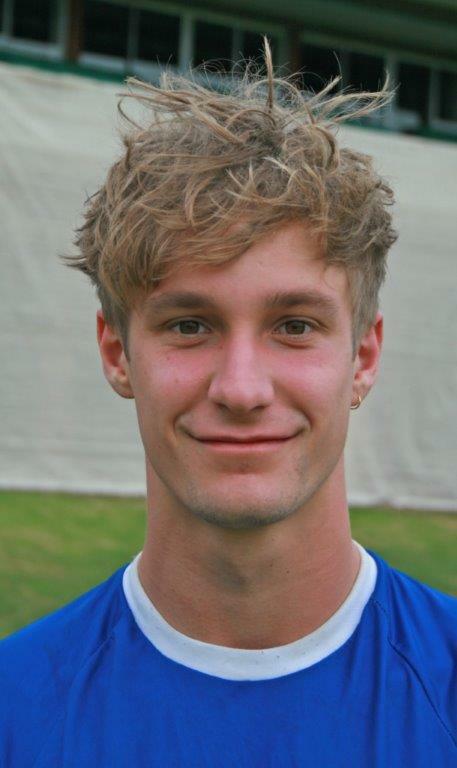 Liam Watkinson them came in and batted confidently. In a half-century stand with Rouse he helped take the team past the required target for the first innings win that was needed. At 298 for 6 a 4th and final batting point to put the icing on the cake looked a formality and a 50 for Rouse looked nailed on. Funny old game though. Watkinson was then bowled by Phillips for 36, Rouse skied one to cover and fell 3 runs short of his personal milestone and then Archie Ogden was yorker first ball to leave Phillips on a hat-trick and 1 round needed for the extra point. However, the flurry and wickets had left last man Harwood still in his shorts and t-shirt – let alone padded-up – so with the clock on 5.20 pm, Davis declared and hands were shaken. Second spot secured although disappointment all round that Cardiff had pipped us to the title. Still, the table doesn’t lie and a place at Lord’s will ensure a fantastic day out for the team on Tuesday 23rd June. We began our 2-day game against Durham at the Racecourse Ground needing at least 17 points to overhaul Loughborough and guarantee ourselves a place in the MCCU Challenge Final at Lord’s. Meanwhile, Cardiff were taking on Cambridge down at Fenner’s, knowing that if they got 4 more points from their game they we got from ours, they would overtake us. Two matches, three teams, a Championship title and two spots at Lord’s up for grabs. Perfectly poised. After the downpour on Monday the weather had done a complete turn-around. After losing the toss the hosts were asked to bat first. Durham, having lost all their previous four 2-day games, were clearly determined not to make it 5 and began very cautiously against some accurate, probing bowling from the seamers. MacDonnell and Clark had advanced slowly before Harry Rouse drew first blood in the 25th over when he trapped Clark leg before with the total on 47. Three overs before lunch Durham were looking steady on 68 for 1, before George Scott struck 3 times in the space of 7 deliveries in probably his best spell of the season. MacDonnell was his first victim, edging to the safe hands of Logan Weston at slip. Steel then nicked one through to Steve Bullen and just 3 balls later Gibson became another LBW victim. Going in to lunch at 69 for 4 having lost 3 wickets for 1 run, the session had turned Yellow. Durham battled extremely well in the afternoon session with most batsmen getting in. The whole attack bowled superbly though, Archie Ogden being particularly unlucky, beating the bat with amazing regularity but with nobody being quite good enough to get an edge. An annoying stand of 76 between Bishnoi and Sohal was ended when Scott got into the action once again, this time taking a good catch of Liam Watkinson to dismiss the latter. A number of steady partnerships edged their score past 250 – albeit slowly – before they were finally all out for 279 from the last ball of the day in the 104th over. There were 4 wickets for Scott, 3 for Ellis-Grewal and omen each for Ogden, Rouse and Watkinson. Four bowling points in the bag and 280 needed tomorrow to secure the 3 batting points and a first innings win to get the 17 needed to overhaul Loughborough. Meanwhile, down at Fenners, Cardiff had already secured a first innings win on a day that saw 25 wickets fall and were ell on the way to an outright victory. There was frustration up at the Racecourse Ground in Durham yesterday as the BUCS fixture was washed out do to an unforecast downpour. However the point gained from the abandoned fixture has guaranteed the Yellows a home tie in the semi-finals – to be be played on Wednesday 17th June (with Thursday as a reserve day). Our opponents are not known at the moment, although the likelihood is that it will be Loughborough. 1st in the table plays 4th and 2nd plays 3rd. With Oxford having one game left to play against Exeter, they are now favourites to top the group – frustrating, as a win yesterday would have seen us secure top spot! Cardiff beat Cambridge yesterday so if they win their last game against Solent they’ll pip Durham for the fourth semi spot. 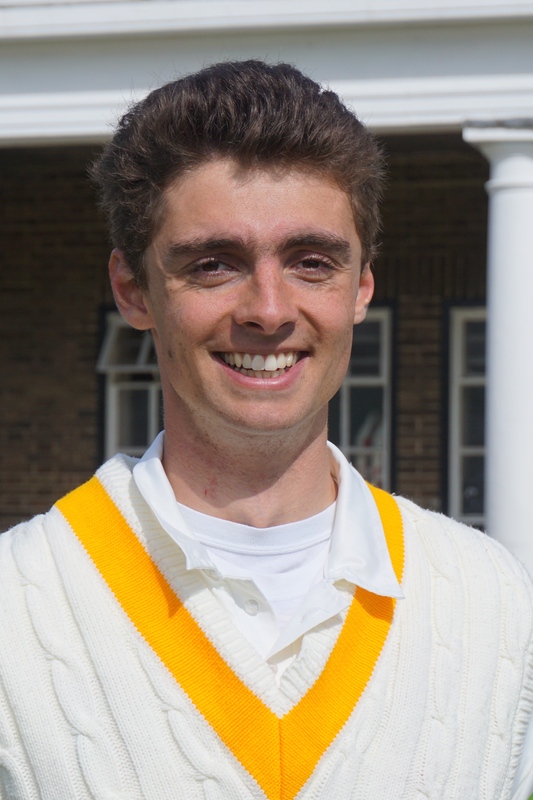 After taking his 49th wicket back on 11th May, Harry Rouse finally hit the 50 mark in a superb spell of 3-16 from 4 overs as the Yellows secured a spot in the MCC / Red Bull T20 Finals Day. 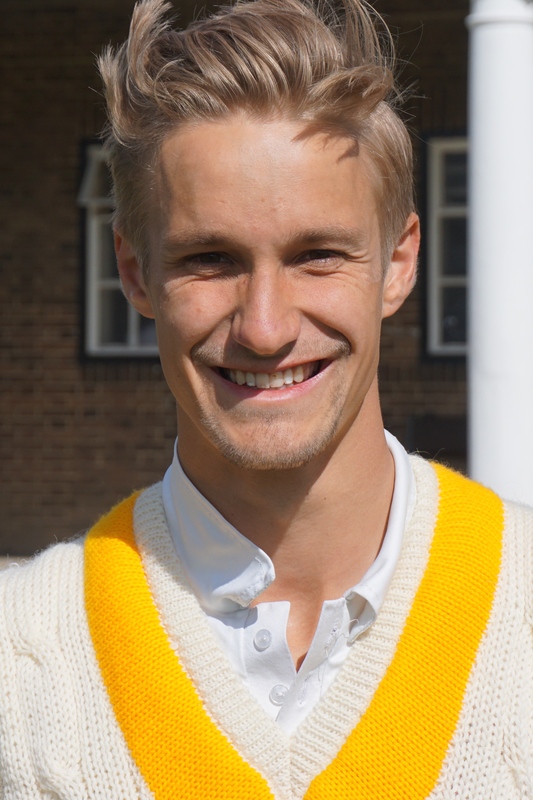 Having received a bye into the Qualifying Final following the late withdrawal of Newcastle University, the Yellows faced Durham MCCU following their 42 run victory over Bristol University. After choosing to bat first, Billy Root’s knock of 69 from 43 balls was the foundation of a total of 164 for 6, with other valuable contributions from Steve Bullen (21), Ryan McKendry (23*) & a last over blast from Chris Harwood (13 off 5) which included two monster maximums. The final 6 balls actually realised 19 runs, McKendry also lifting the ball over the ropes. Two wickets in Alex Lilley’s first 8 balls reduced Durham to 7 for 2 before Steel & MacDonnell put on a threatening stand of 49 in only 4.1 overs before the Durham skipper Steel swung wildly at Joe Ellis-Grewal and lost his leg stump. MacDonnell was stumped by Wakefield off the same bowler, but it was Rouse’s tight spell and 3 wickets that really put a strangle on the North-East boys as they finished up losing the last wicket to the first ball of the last over with their total on 140. Rouse’s hairstyles may have changed over his years in the squad but his consistency with the ball has remained. He becomes only the 10th player ever to hit the half-century of wickets in competitive games and now lies in joint 5th spot with Tom Glover on 52 scalps. 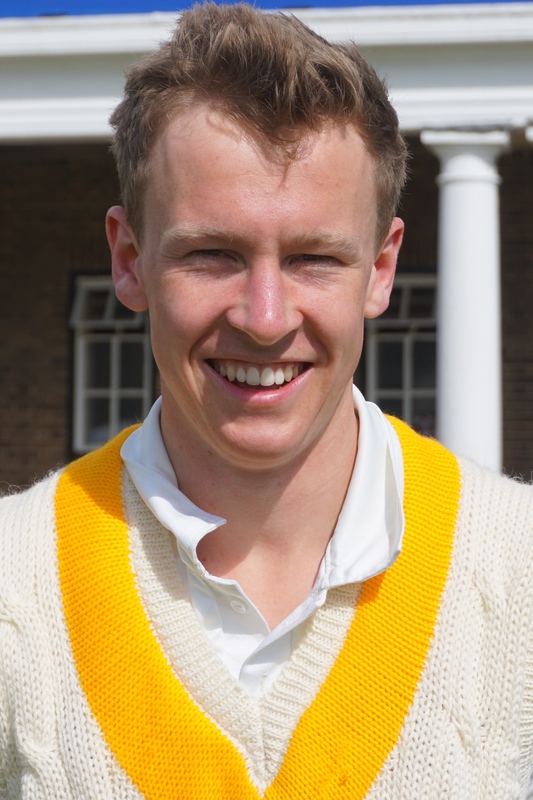 However, he has some way to get the top spot of 85 wickets, shared by Daniel Woods and Alex MacQueen. The win means that we now travel down to Oxford for the Finals Day on Monday 15th June. Durham also qualified as best runner-up on run rate and will be joined by the winners of the other two qualifying groups – Loughborough and Oxford. There will be two semi-finals (draw on Monday 8th) before the final – where the winners will get an all-expenses trip to India to represent England in the Red Bull Campus Cricket Global Finals.